Approaching Cagefoot Lane from the High Street (going South), Stokes is roughly opposite The George, and the defibrillator is mounted on side of the shop front. The above photograph is the property of BN5 magazine which holds the exclusive copyright to it. 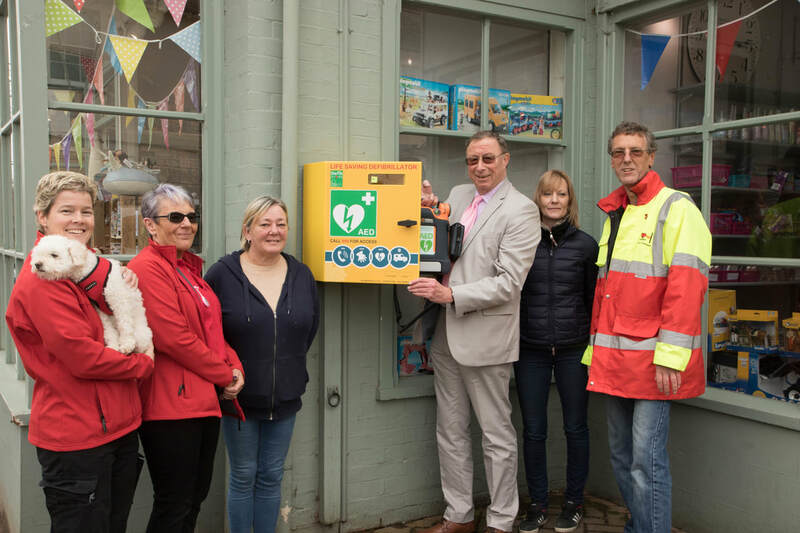 Picture shows members of HART in red/red and yellow, Catherine Clarke and Amanda Rome of Stokes, and David Williams, retiring Chairman of The Kindersley Trust which donated much of the money needed to fund this site. David had been Chairman of The Kindersley Trust for 24 years.